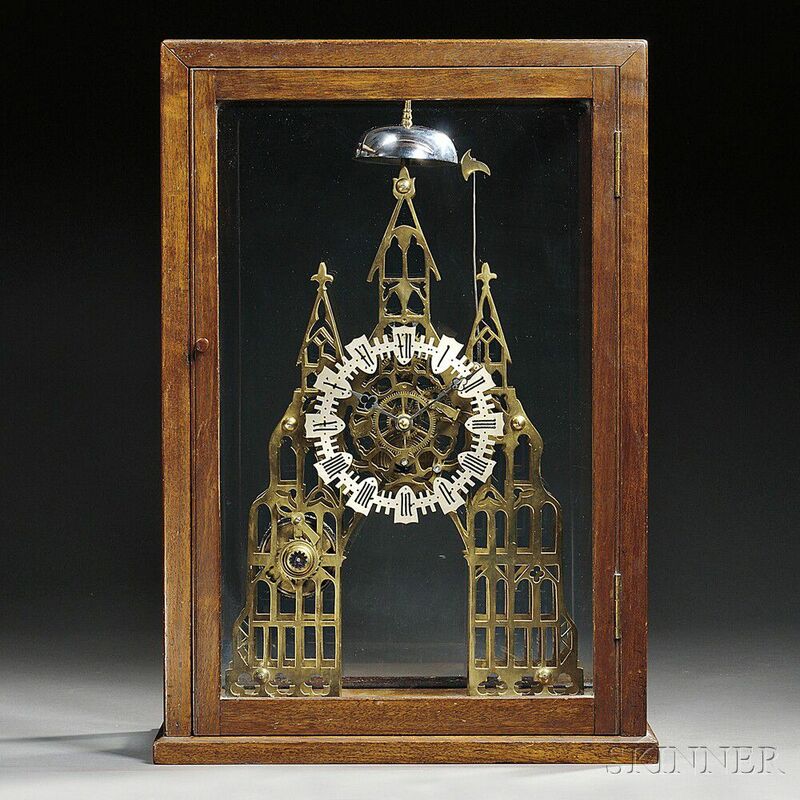 Gothic Cathedral-form Skeleton Clock, England, c. 1850, pierced brass plates, skeletonized silvered chapter ring with Roman numerals, eight-day, chain-fusee, time and drop off strike movement regulated by a pendulum, mounted to a wooden base and housed in a glazed mahogany case, ht. 22 1/2 in. 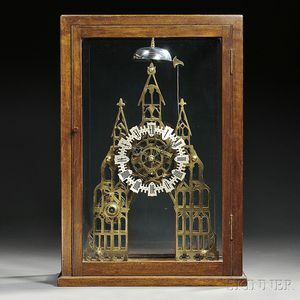 Clock is presently running. Previous owner has affixed a lable to the case saying "J. L. & W. Smith & Sons..."
United Kingdom, L. & W. Smith & Sons.